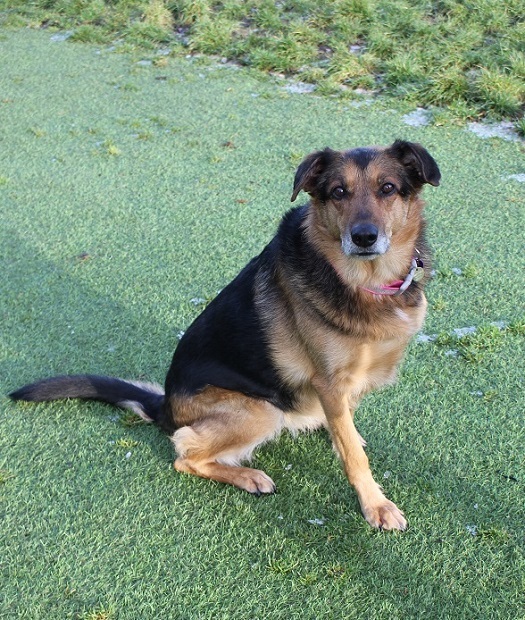 Beautiful Bailey, an 8-year-old German Shepherd x Collie, is with Freshfields Animal Rescue in Liverpool due to the ill-health of her owner. Bailey has been a loyal and faithful companion and her owner was heartbroken to have to part with her. Such a sad situation. Bailey must be so confused: she has been at Freshfields before, in 2016, because there was a new baby in her home. Freshfields are very sad to see her back and they hope she will not have to wait long to find a new home. Bailey is a lovely girl who is very cheeky and full of character. She can open doors, and in her younger days she was known to jump fences! Although she has not done any of this in her recent home, Freshfields are looking for a home with fencing of at least 6 feet, just as a precaution. Bailey is used to having children visit her home, but she would benefit from a quiet home where any children are older, sensible ones. Bailey tolerates some dogs on walks but she needs to be the only pet in the home. She does not like cats. She has had ear issues for most of her life and is currently having medication for this which she may need on and off for the rest of her life. She is very sensitive around her ears and can become upset when the vet examines her or administers ears drops, and will therefore need to wear a muzzle. However this is not a problem for Bailey as she is used to wearing a muzzle. 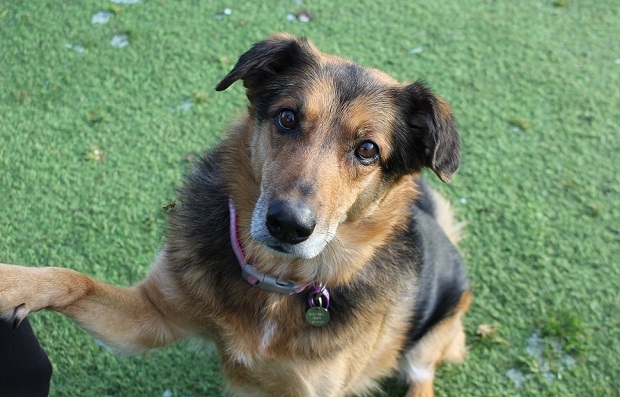 Bailey is a friendly, sweet-natured girl. She is clean in the home and really is no trouble at all. She will make a fantastic addition to her new family. Could you offer Bailey a lovely new home? Please mention that you saw Bailey on the Oldies Club website.